The first local shoe to drop in the ongoing R. Kelly saga is a “rimshot” radio station. 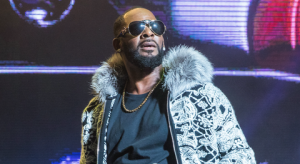 Clubsteppin’ 95.1 – a new Urban Adult Contemporary station launched last August, announced Thursday it is removing R. Kelly’s music from their playlist in light of allegations surrounding the singer’s alleged abuse against women, raised to a higher level by Lifetime’s six-hour docuseries Surviving R. Kelly. The news was reported Friday by the Chicago Tribune. Based from his internet radio station Clubsteppin.com, Watts struck a deal last summer to bring his format of 1970s and 1980s step dance music (commonly known as ‘steppin’) to Windy City Broadcasting’s translators W236CF in Chicago and W236CG in Bolingbrook, fed by WLEY-HD2 (107.9). Those translators appear on a “rimshotter” station (95.1 FM) reaching Chicago’s South Side and south suburbs, where the majority of the area’s African-Americans population resides and competes with iHeart Media’s V103 (WVAZ) and Crawford’s Soul 106.3 (WSRB). Clubsteppin’ is the eighth radio station in the Chicago market targeting African-American audiences at a time when the market’s black population is declining. 95.1 FM in the Chicago area is split with another “rimshotter” station – active rocker WIIL-FM, who serves Chicago’s northern suburbs and southern Wisconsin. 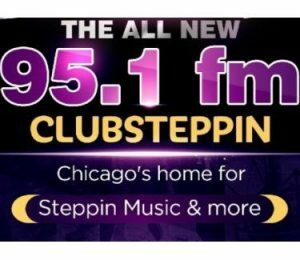 “Clubsteppin” launched on 95.1 FM via two radio translators in August 2018. Shortly after its launch last August, Clubsteppin’ picked up The Tom Joyner Morning Show after Soul 106.3 dropped it for a new local morning program. Joyner removed Kelly’s music from his syndicated show last year. Watts’ station joins several Urban and Urban AC outlets around the country who have eliminated R. Kelly’s music from their playlists. As reported here on Thursday, two Dallas and an Atlanta station removed Kelly earlier in the week, with WBLS-FM New York and Stevie Wonder’s KJLH-FM in Los Angeles, doing so even earlier – all are independently owned. A tipster to T Dog Media’s Twitter feed also noted Urban AC station WJMR in Milwaukee quietly dropped Kelly’s music six months ago. WJMR is owned by Saga Communications, a mid-sized radio chain who owns other stations in Milwaukee and throughout Wisconsin, Illinois, and several other states. But the majority of Urban and Urban AC stations in the country are owned by huge radio conglomerates such as Cumulus, Urban One, Entercom, and iHeart Media – the latter also owns Urban Contemporary WGCI-FM while Entercom owns WBMX-FM (104.3 Jams). None of those local stations – including Crawford’s Power 92 (WPWX) and Soul 106.3 – have still not commented publicly. This comes as significant developments took place this week involving the disgraced R&B star. A protest took place Wednesday night outside of Kelly’s West Loop recording studio – now being investigated by city officials for possible zoning violations. The same night, Kelly was spotted at a club in the city’s Greater Grand Crossing neighborhood after-hours, performing one of his signature hits, “Bump ‘n’ Grind”. Police were called to the club, but no arrests were made. Kelly’s lawyer on Friday stated he was innocent of all allegations at a raucous press conference. On Friday, a report of Kelly holding women in a cult against their will at his Trump Tower apartment was proven to be false, according to Chicago Police. As Clubsteppin’ is the latest independently-owned radio station to bail on Kelly, major radio chains are taking a “wait and see” approach. But with the controversies continuing to grow, can they afford to?